Using a drone photographer in your marketing can bring a new perspective to your business. You get stunning photos that simply aren’t possible at the ground level. You add depth and dimension to your marketing and products. You gain the benefit of appearing cutting edge when visually representing your business. But perhaps best of all, you can get the best of both photo and video from a single source. Opting to use drone photography is the easy part. Choosing the best pilot for the job isn’t so simple. Drone photography encompasses many aspects, from subject matter to still photos to video and more. You need a drone photographer that has experience in your specific application. For example, some photographers focus solely on marketing projects. Others may be more interested in elements to create viral photos or videos. Shooting aerial photos of moving objects, such as traffic or sports events, takes a unique skill set. Someone specializing in landscape photography may not be able to produce quality action photos. Tiny differences like these will impact the final results. It’s essential you choose the best drone photographer that not only knows how to pilot a camera, but can also give you the best photos for your needs. We specialize in all types of drone projects to make sure you get the best final result. Whether you need high-quality action shots or simpler landscape photos, we have the expertise to make your project shine. There are hundreds of drone cameras on the marketing that range in quality, size, and price. You don’t have to be an expert on drone models to know we’re using the best drone camera equipment available. Using a low-end camera drone that costs $50 is going to give you vastly different results than a $1,000+ commercial grade drone. Granted, some lower-end drones can take great photos, but they’re usually not the best quality for business purposes. Rather, they often look like amateur-quality photos you took with your friend’s camera. 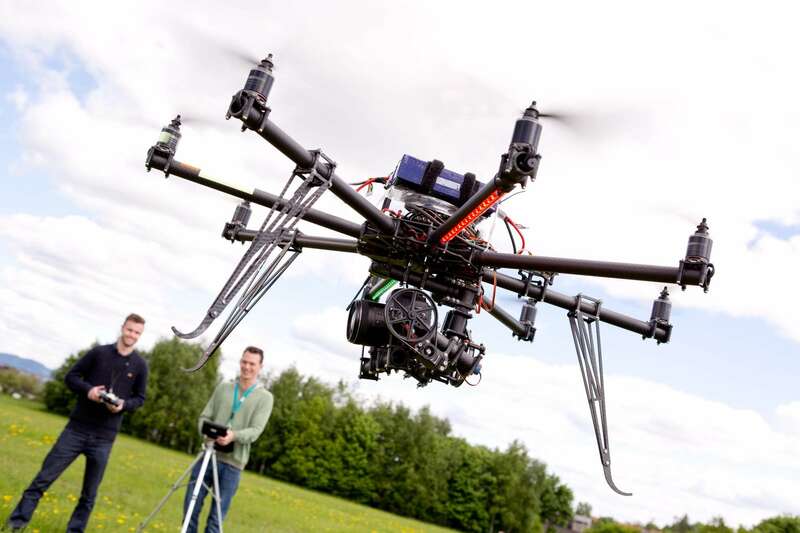 Our drone cameras are top of the line and are used specifically for professional photography. We did a lot of research and testing on various drone cameras to find the best. Are you looking for aerial photos, videos, or both? Truth be told, drone photography and drone videography require vastly unique skill sets. In addition, the post-flight production skills and processes also vary. We’re a one-stop source for both. We handle every aspect of the project, from shooting the content to creating a stunning final visual you can be proud of. We love the work we do, and we’ll prove it to you. Here’s a view of our portfolio. You need to know what we’re capable of producing, both in photo quality and in editing skills. We’ve made our digital portfolio available on our website so you can peruse it at your convenience. We don’t want to keep you guessing at what we’re capable of. However, understand that the portfolio is just a sample, not a limit of our scope. f you can’t find a sample of your specific purpose in our portfolio, just ask us if we can do what you need. Don’t be shy about scoping out our reputation online. We’re not afraid to display client testimonials on our website. We know our customers love us! Reading these testimonials can give you an idea of the scope of our work and provide social proof of our popularity. However, keep in mind that we’d never post a negative review on their own website, so testimonials don’t always deliver the full story. Google reviews will show you what other clients have said about us. Take care to note both the good and the negative reviews to anticipate what you might experience. In addition, you can check our social media pages for additional client reviews. Facebook pages usually have an entire section dedicated to star ratings and reviews. If you’re still curious about our work, don’t be afraid to ask us about our clients. You might be surprised to learn that some drone photographers charge a separate rate for post-flight production. That is, photo or video editing isn’t included in the original quoted price. One drone photographer may charge for an hour of flight time, while another may charge for a set number of photos regardless of in-air time. Rest assured that the price we quote you is the total cost for a finished product. We take into account what your project requires, from shooting time to editing to final production. We encourage you to ask questions about what your quoted cost covers. Knowing these things up front will help you compare your options and keep your project on budget. Turnaround times will vary by project, especially if you have to schedule your photo shoot weeks in advance. In addition to taking the photos, you also need to plan for editing and post-production time. We’ve got plenty of experience in creating drone photos and videos and we have a pretty solid idea about how long it will take us to finish your project. Our estimated turnaround times are usually spot on. If anything, we try to deliver a final product earlier than expected. Drone photography can do amazing things for your marketing. It offers a unique look that cannot be achieved by any other means. Aerial shots can help you define your brand and give your audience a perspective they’ve never seen before. Choosing the right drone photographer is not a decision to take lightly. 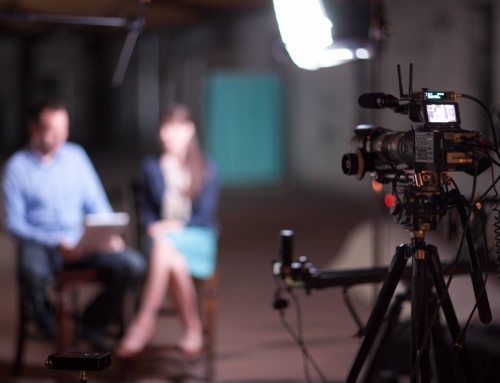 The entire success of your project depends on finding a camera operator who uses high-quality equipment and is skilled in your unique application. To learn more about how you can use drone photography services in your business, contact us today.